Finding used diesel trucks at dealerships can be surprisingly difficult. While many dealerships have hundreds of used cars, trucks, and SUVs on their lots, the number of used diesel trucks for sale is often much, much lower. With so many vehicles staying on the road longer than ever before, why are used diesel trucks so hard to find? There are a number of answers to this question, actually, which all reinforce the value of a diesel truck for an original owner and a used diesel vehicle for dealerships and future owners. Shopping for a diesel truck may not always be easy, especially on the used market, but knowing a few things to keep in mind can make it a bit easier. The more you know before coming to our dealership, the better prepared you can be for the actual buying experience, and the better we can help you find what you’re looking for. That is what we’re here for after all: it is not our job to try to push something on you that you don’t want, but rather to help you find exactly the right vehicle for your needs. One of the reasons it can be difficult to find used diesel trucks for sale is that there are a lot of well-established benefits to choosing a diesel truck. When looking at different models available, especially from a dealership, it is important to keep these benefits in mind so you can choose just the right truck for your needs. 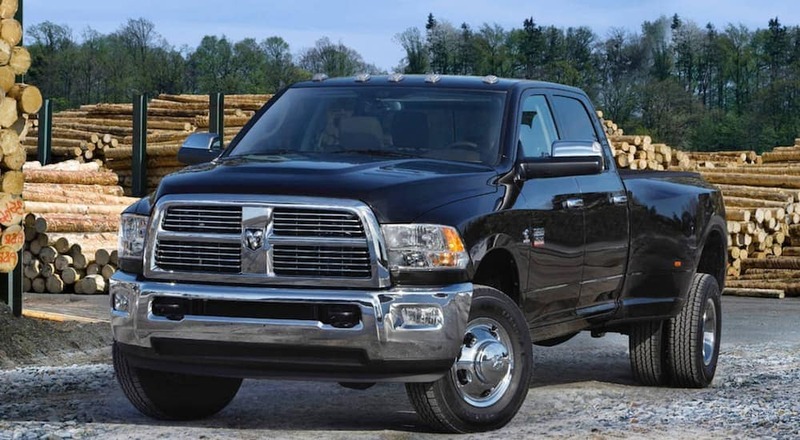 The specifics of each of these features can vary a bit from one diesel truck to another, but in general these hold true for most diesel trucks and make them so desirable for many truck-owners. When it comes to any truck on our lot, one of the most important things for a lot of our customers is just how powerful it is – particularly in terms of things like towing capacity and maximum payload. This is one area where diesel trucks have been king for decades, as diesel engines provide a ton of torque for trucks. In the past, diesel engines usually provided less horsepower than comparable gas-powered engines – so if you’re looking at used diesel trucks for sale you might find their horsepower is lower than the same model truck with a gas engine. Newer models, however, have largely closed this gap, and even though gas engines may still give more horsepower, diesel engines are usually right up there with them. When it comes to torque, however, diesel engines are much more powerful and have been for a long time. So used diesel trucks typically provide a lot of torque, which is more important than horsepower for something like hauling thousands of pounds in a trailer behind you. Trucks with diesel engines usually get better gas mileage than similar trucks with gasoline engines. Fuel economy might not be as important as overall power and towing capacity for a lot of truck owners, but the long-term cost-benefit of better fuel mileage often makes diesel trucks a more desirable option. A used diesel truck might get you better mileage than a brand new truck with a gas-powered engine, which is part of why these trucks retain so much of their value over time. Anything that can help make owning a vehicle less expensive over time is a value to the original owner of a truck, as well as future owners of used vehicles and something we always consider when working with our customers. This is another way that a used diesel truck can help save you money. Due to the way diesel engines function, they typically require less regular maintenance than gas-powered engines since they lack things like spark plugs. With that in mind, they do still require routine maintenance in other ways so you need to make sure you still take care of the engine. Still, less maintenance overall means you can save money with a diesel truck compared to a gasoline-engine truck. While it is important to know why used diesel trucks for sale are such a great choice, it is just as important to know how to best shop for them. Like other used vehicles, you have a lot of options on where to buy a used diesel truck, and each one comes with its own benefits and drawbacks. You might find a lot of diesel trucks for sale from private sellers, typically whoever first or previously owned the truck. These sellers tend to offer the lowest price, but you have little or no guarantee on your purchase and no real security in the purchase if you find mechanical issues right after you buy it. Used diesel trucks for sale from a dealership are typically the better choice because you have greater security. It is true that you will probably pay a bit more at a dealership for a used vehicle than from a private seller, but you can get better protection for your purchase from a professional lot. By law, we have to display certain information about every used vehicle on our lot, which is more than any private seller has to do, and we disclose information about a used truck’s mechanical and electrical systems. With a dealership, there may also be options for warranties and inspections for some certified pre-owned vehicles, so you can shop with much greater confidence. If you have started shopping for used diesel trucks, then you have probably noticed they tend to be a bit more expensive than comparable gas-powered trucks. This is because the benefits of a diesel engine are so good that they often retain their value better than gas vehicles. But is that extra money really worth it? In general, we think so yes. We are always confident when helping our customers find the diesel truck that is right for them because we see their benefits first-hand year after year. You might also notice that used diesel trucks are generally harder to find. That is because so many initial owners hang onto their vehicles for hundreds of thousands of miles and decades of use before letting go of them. So even if you are looking at used diesel trucks for sale that are more than 10 years old, they are often in better shape than a much newer gas-powered used vehicle. Keeping used diesel trucks in stock is a lot harder than it might seem, so it is important to come see them when we have them. At Carl Black Hiram, we understand the value of a used vehicle and know how important it is to keep diesel trucks and other vehicles on the road for as long as possible. By driving a used truck, you help reduce its initial environmental impact from manufacture, and you can save a lot of money while still getting an excellent vehicle. A used diesel truck can give you many years of excellent performance, reliability, and save you money the whole time. And if a diesel truck is not the right fit for you, then that is fine too. We have plenty of used cars, trucks, and SUVs to choose from. Our job isn’t done until you find just the right used vehicle to fit into your life and meet your needs.